A light fresh fragrance. The male counterpart to Acqua di Gio for ladies. Ideal for the summer. This fragrance in recent years has been the number one best men's seller in the USA. 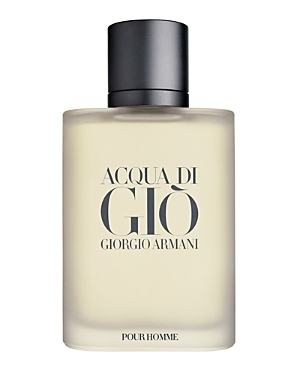 There are 328 reviews of Acqua di Giò pour Homme. When Acqua di Gio was released in 1996 it truly changed everything. The scent perfectly aligned with the Armani aesthetic of the 90's - crisp, clean, elegant and luxurious - but restrained and refined when compared to the "more is more" scents of the late 80's/early 90's. No wonder so many fragrances (hundreds, perhaps thousands) have been inspired by AdG. No wonder there are so many knock-offs. I remember as it started to become more popular, AdG would make the powerhouse scents seem out of style and even obnoxious. This is why I think there is so much animosity towards Acqua di Gio. Nobody likes sharing their glory with the new kid in town or having their classics overshadowed. Some of my peers at the time refused to wear AdG because it was "feminine", compared to many other men's fragrances at that time. And once AdG and its clones were so popular it became an easy target for those who wanted to step away and stand out, or weren't buying into the trend. Fair enough. Because I wore it for nearly a decade and took it out of my rotation (even selling off my bottles), I never thought I would rekindle any sort of love for AdG. I have so many nostalgic connections to AdG that I can't be without it - a 50ml bottle will do. And I decided to get the oldest bottle I could find (a 2001 Cosmair era). It certainly is different from the 2019 AdG in that the original has a very beautiful, lingering base that is completely absent in the newer versions. In fact the original release is even more restrained than the 2019 juice, which has a good dose of synthetics that I can't get past on my skin. The opening is louder, the mid-notes are shrill, and the base is salty and brash. From start to finish AdG is a masterpiece, and it's taken me 23 years to come to that opinion. At the same time I almost certainly will reach for *anything* else in my wardrobe! A victim of its own popularity, to borrow one reviewer's grammar, you certainly won't be the only one in town wearing AdG. But for those of us who recall the time and place, I think we should celebrate just how much of an impact this scent made. Shortly after AdG was released I graduated high school, went to university and started off on my own. It was an amazing time in my life and if I ever need to remind myself of that era, a spritz or two of AdG lets me travel back in time and recall those wonderful years. The incredibly ubiquitous Acqua di Giò pour Homme (1996) by Giorgio Armani is more than just the most-detected men's fragrance seen in the streets of most major Western cities, but also quite literally the 1990's in a bottle, the pinnacle of the fresh, clean, unobtrusive and oftentimes androgynous style common in the decade, a style which sought to put distance between itself and the burly over-masculine 70's and the loud, ostentatious 80's. The smell of Acqua di Giò pour Homme was that of Christian Dior's Eau Sauvage (1966) come full-circle, with the jasmine hedione and citrus hespirides which put that venerable chypre on the map for it's freshness stripped of all other superfluous elements and built back up with synthetic wonder-chemicals to be the shining beacon of simple, amiable, uncomplicated likeability which defines the 90's vibe. Acqua di Giò pour Homme is the ultimate crowd-pleaser and most folks who hate it are just sick and tired of how impersonal and polite it's presence is, and the fact that the basic floral aquatic tandem it perfected has been abused ad infinitum ad nauseam for the greater part of 2 decades, and still is by some houses. Simply put: Acqua di Giò pour Homme is one of three major reasons designer masculine fragrances have stagnated creatively, alongside Liz Claiborne's Curve for Men (1996) and Thierry Mugler's A*Men (1996), setting a standard that reads "if not aquatic fresh, then fruity fresh, and if not either, then rich and sweet". Acqua di Giò pour Homme can't entirely be faulted for the state of designer perfumery, because it was more than the success of one fragrance which determined that accountants should be creative forces over perfumers and force distillation of past successes to replace creative exploration, but that's another story. Alberto Morillas and Jacques Cavallier were called upon to form a dream team on Acqua di Giò pour Homme, and it really shows in the pop music simplicity Morillas gave it, and underplayed elegance on display courtesy of Cavallier. The scent opens with a lovely jasmine hedione, not as rich as the aforementioned legendary Dior, and laced with a larger dose of synthetic hespirdes and the "aquatic" note of dihydromyrcenol, the 90's chemical du jour alongside calone which sets the tone for the fragrance. How you feel about Acqua di Giò pour Homme largely determines how you feel about these key aromachemicals, so if you absolutely hate them, stop reading here and go back to your aromatic chypres or orientals, but if this kind of thing is your bag and you already own stuff like Creed Green Irish Tweed (1985) or Aramis New West (1988), you'll be in heaven as they are used most expertly here. Rosemary adds a bit of aromatic comfort in the transition from the top to the base, but the hesperides also come along and marry with some white florals and persimmon, plus a salty oceanic accord which is the scent's biggest trademark, living up to all the advertisements featuring moist beach bodies and sea water lapping upon rocks. It's rare a fragrance truly fits its marketing, so take it where you can get it. Rock rose (in a drier/lighter form than usual cistus labdanum) brings in the musky dry down, and it's an ultra-clean synthetic laundry musk just like what is heavily featured in both Jacques Cavallier's L'Eau d'Issey (1994) and Alberto Morillas' co-penned Calvin Klein ck One (1994), so no big surprise there really. There's cedar serving as a sharp desiccant, and some form of highly-bleached/altered patchouli roundness floating in the mix alongside the faintest hints of oakmoss (more in the older batches), but that's about it. 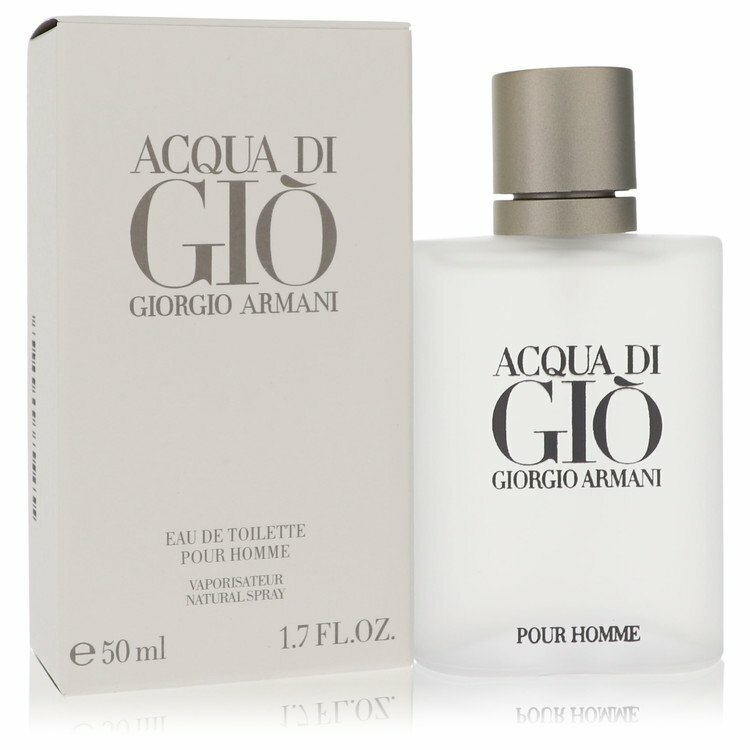 Wear time is average but better than most aquatics at 8 hours, and sillage is surprisingly strong, so watch over-doing it unless you're taking Acqua di Giò pour Homme to the club (a common occurrence in the 90's), or this nice oceanic ambiance will transform into a nose-shredding synthetic monster from Planet Armani. By how much I still smell this in the newer masculines encountered in my daily comings and goings, I might get the suspicion that the designer style has never really left the 90's in some ways, but that is also another story. I like Acqua di Giò pour Homme, and am surprised that is radiates in both hot and cold weather, lending to its legendary status as a year-rounder. This scent is like any other long-lived stalwart of the industry, such as Old Spice (1937), English Leather (1949), Brut (1962), Azzaro Pour Homme (1978), Cool Water (1988) and beyond. There will always be a massive throng of signature-scent users and abusers ruining the Acqua di Giò pour Homme experience for people who prefer variety, by stubbornly wearing this every single day until kingdom come, so I don't besmirch the haters. However, I see this for what it is, and that's a watershed fragrance which has become the ultimate generalist, showing no sign of slowing as it still is a best-seller in many countries, keeping pace with much younger combatants like Polo Blue (2002), Terre d'Hermes (2008), Bleu de Chanel (2010), Dior Sauvage (2015), and YSL Y for Men (2017). I think Acqua di Giò pour Homme is the only reason Giorgio Armani still stays relevant to men in the 21st century, and is still heaps better than many of it's newer competitors, despite several advancements in modern designer perfumery, like the oft-overused ambroxan. It's certainly not my favorite, but Acqua di Giò pour Homme gets a thumbs up for being a dependable, if somewhat plain staple of the modern men's wardrobe. No need to sample, you've already smelled this, liked it, and probably didn't know it was. Seriously, this stuff is EVERYWHERE, which might prove a significant reason to shift from an urbane to a rural lifestyle, especially if you can't stand aquatics. Thumbs Up, but with the caveat that like cheese pizza or vanilla ice cream, you really have to be in the mood for something this straightforward unless you're the kind of person that orders their cheeseburgers from McDonald's without pickles or onions, in which case this is probably your favorite fragrance already. Acqua Di Gio is my third "big boy" cologne (I have never really used cologne until a couple years ago when my girlfriend of the time bought me Abercrombie Fierce, and I purchased my self, Polo Blue. I am a HUGE fan of Aquatics. Half of my collection bears aquatic themes and in these forums, you'll see my name on a lot of the Aquatic frags. Now, onto the real review. The opening scent to AdGpH, is borderline God-sent. The Jasmine shines, and the rosemary comes in hot, making this not have a harsh-smelling opener. Through the opening and into the setting period, it transitions seamlessly by not impacting your nostrils like a roundhouse kick from hell. But next, is why it lacks for me. The sillage at first is great, but it quickly within the half-hour becomes subtle, and the longevity is gone within 2 hours. It's a shame, because this fragrence is such a well made, well presented product that can be the center piece of anybody's collection. Of course, this is only my opinion. Worth the money? Absolutely, it's a must have. But some may tire of having a frag that can't keep up with their days. Legendary, worn by so many all over the world for decades now and STILL sported by countless others today. I give credit where it is due for AdGpH original: It stands as a dependable marine-citrus-floral men's cologne that may not be for everyone, but remains available everywhere for a new generation of wearers to explore. AdG has a wonderful tanginess and salty touch. It shimmers and fills the immediate area with its brightness, requiring a measured, restrained level of application. Floral elements of jasmine, rosemary, and patchouli blend seamlessly, touched by the juicy sweetness of persimmon and held on a beautiful masculine foundation of musk and labdanum (rock rose). The Profumo version, IMO, does a great job of turbo-charging the original without becoming an offensive beast scent. The Absolu version, though, seems to want to be a "me too" scent echoing Armani's Stronger With You versus the original AdG. Great go to scent that should be given a sample spray especially because of how relevant and remarkable AdG still is considered to be by many, many wearers. I'll start my first review off with this classic. Acqua di Giò. This is the cologne your older brother told you about in highschool. I've been wearing this fragrance for over 10 years. This has been my "go to" for ever. I even met my wife in this. Lately I have become noseblind to it. I'm not sure if this is due to the reformulating or not but it almost feels as if I can't even smell it anymore. I chose this frag as my work scent. I recently had to stop because I was spraying up to 6 to 8 sprays and only got a slight hint of jasmine. I thought maybe the bottle went bad. So I went to a department store and to my surprise it was just the scent itself.. Such a shame what happened to this fragrance. This fragrance attributed greatly to the first kiss from my wife. For that I owe this frag. Occasion: Skipping class and going to the beach with your friend's on a hot summer day while The Smashing Pumpkins "1979" blast on the car radio. I don't get how this is as popular as it is. Has to be people buying it onsale. I mean its ok just nothing special... here's my experience.... after reading all the ++ reviews and it being touted as the best selling cologne for men, I thought can't go wrong. I bought a bottle online and when I received it, I put it on and thought hmmmm kinda soft and femme to my nose. I thought maybe i got a bad bottle or someone watered it down or someone bought a dollar store knockoff and put it in an original bottle...something cause all the reviews and sales it has to better then this. So i bought a new bottle from my local perfumery and nope was the same. Now I admit i'm no expert but i know what i like and what i don't. I know this sounds negative but its not. Its an ok frag if you wanna smell kinda soapy and soft for about an hour then nothing. I just may be too old for this(30's here). Maybe its a perfect cologne for the younger "millenial" generation with their more emotional ways...but I just don't get it....I use it more as an after shower spray around the house thats it for me. 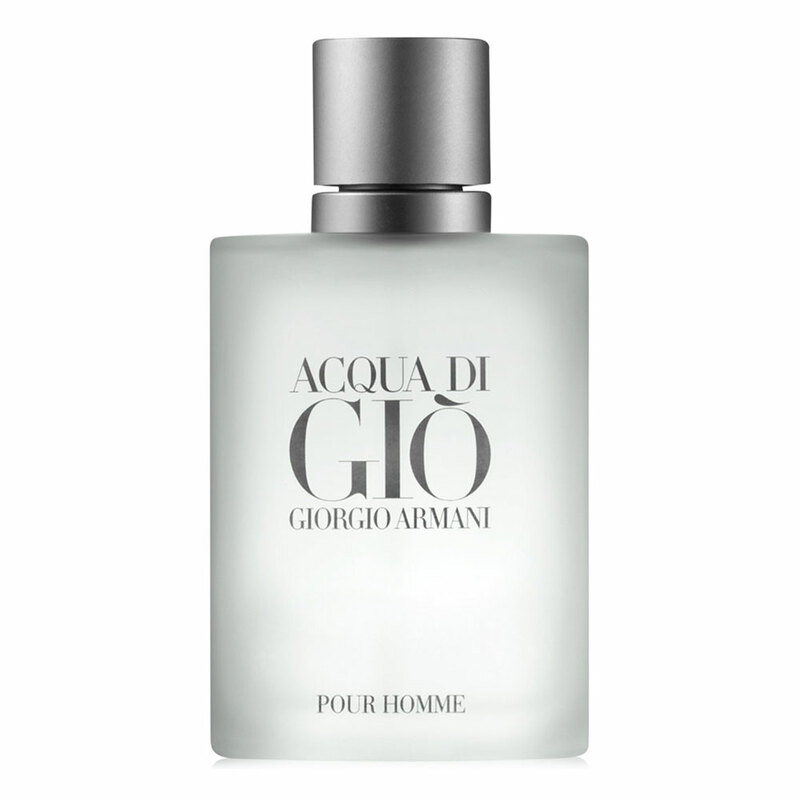 I do like other aquatic softer smelling frags a lot this one just smeels to femme too soft and doesn't seem to last more then an hour or so on me..
Giorgio Armani Acqua di Gio Pour Homme Eau de Toilette 1.7 oz.